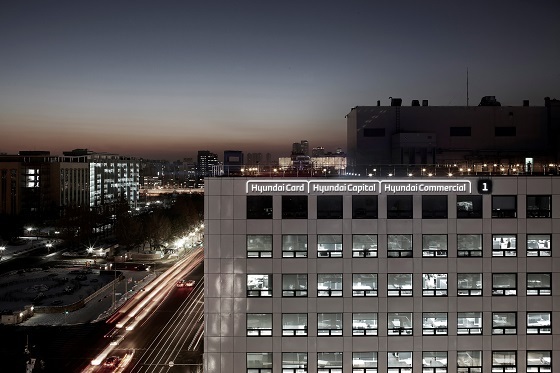 Hyundai Card, South Korea’s credit card service provider, has been selected to provide its cloud-based credit card IT system to an affiliate of IBM Japan, the firm said Thursday. Exa Systems, a Japan-based major information technology solutions provider, will now utilize Hyundai Card’s Hyundai-Advanced Library System, which was developed in consideration of Japan’s pursuit of a “cashless society,” according to the Seoul-based firm. The system was also developed ahead of major upcoming world events for Japan that include the 2020 Tokyo Olympics and 2025 Osaka Expo, it added. H-ALIS is capable of handling more than 150 million card transactions a month, while dealing with real-time, large-scale purchases, sales and withdrawals, Hyundai said. The system can be used around-the-clock and interruption-free. It can also be flexibly reconfigured according to the specific needs of customers and products. Hyundai said it hopes to see new opportunities through the global deal, such as licensing the sales of software packages and consulting services in the Japanese IT market. South Korean conglomerate Hyundai’s financial arm noted the Japanese credit card market as conservative, but possessing high potential for growth. Exa Systems made the decision on March 5 and shared the news via its official website and major Japanese new outlets such as Yomiuri, Asahi and IT-focused publications, according to Hyundai.